Canadian Environment Minister Catherine McKenna fields questions at a news conference as the G7 environment, oceans and energy ministers meet in Halifax on Sept. 20, 2018. Ottawa used the platform of a G7 ministers meeting Thursday to announce it will gradually eliminate most plastic waste from government operations, as corporate leaders spoke of how they’re eager to turn waste into profitable material. “We’re going to eliminate unnecessary single-use plastics throughout government operations. So this includes straws, cutlery, packaging, cups, bottles,” Ms. McKenna said. Meanwhile, the chief executives of a number of large companies said they’ll sign the ocean plastics charter that Canada has been promoting. Five of the seven G7 countries and the European Union signed on to the charter at the recent G7 leaders summit in Charlevoix, but the United States and Japan still haven’t endorsed it. Ms. McKenna announced Thursday that Jamaica, Kenya, the Marshall Islands and Norway are signing on to the plastics charter. Paul Polman, the CEO of Dutch-British multinational Unilever – a massive consumer products firm – attended the morning session of the G7 meeting and told the ministers those that haven’t signed on are falling behind a world trend led by consumers. He referred to the Canadian-led ocean plastics charter as a starting point for all countries to commit to. Ms. McKenna also said during her news conference that Ottawa is starting a $12-million fund for innovations in plastics aimed at finding ways to avoid the material entering the waste stream. 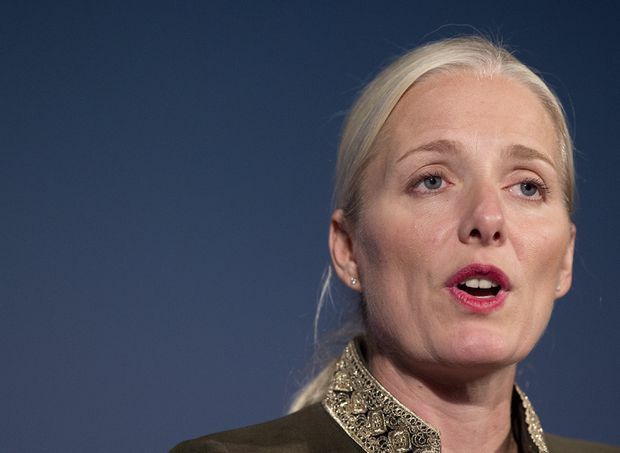 However, Ms. McKenna has said the Liberal government’s wider approach to setting out a national strategy to reduce plastic waste and encourage reuse is still being worked out, as she plans to meet with provincial counterparts. Mr. Butler also said there are still serious problems with the ocean plastics charter, including its use of terminology that would allow for plastic waste to be burned – thus contributing to greenhouse gases. Mr. Wheeler said most plastic waste comes from southeast Asia.